First off, what is a macramé plant hanger, I hear you cry! 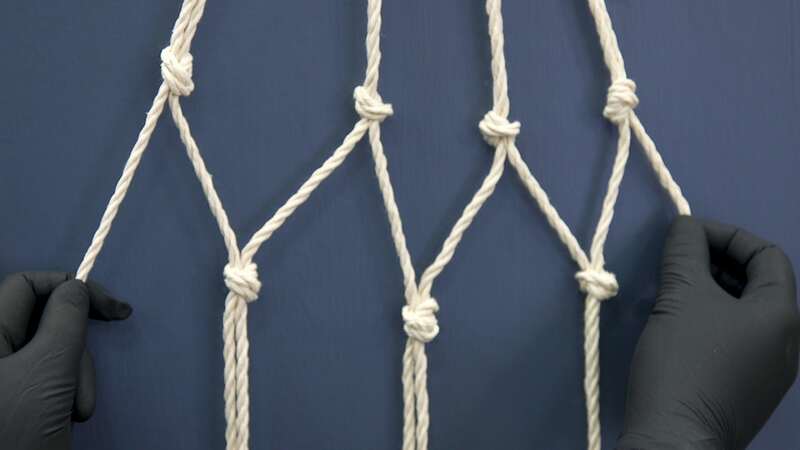 Well, macramé itself is the art of tying knots together to form decorative textiles. Thought to originate from Arabia, macramé (or migramah meaning "fringe") textiles were used on horses and camels to keep flies away. From around the 17th century onwards, the art spread throughout the western world and its popularity peaked in the Victorian era. Sailors, who would spend long hours at sea, did the most to promote macramé, producing all manner of designs and selling them once back on dry land. 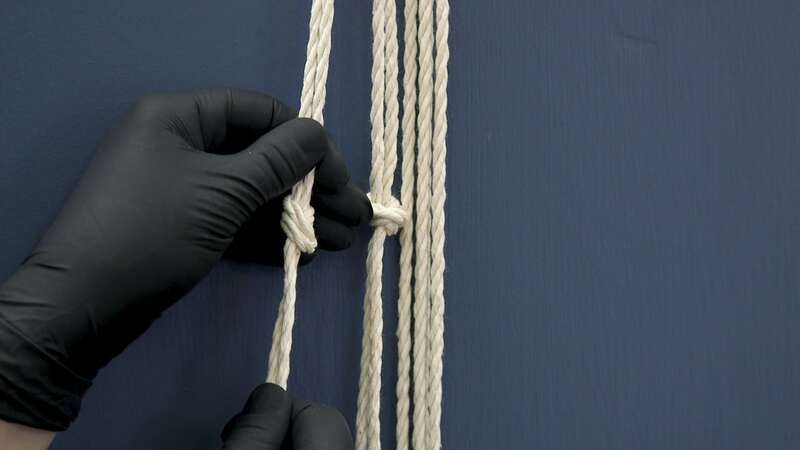 With the use of basic knots, it's the perfect craft for beginners. Even if you haven't tried it before, you should be able to get the hang of it within the space of a few minutes. 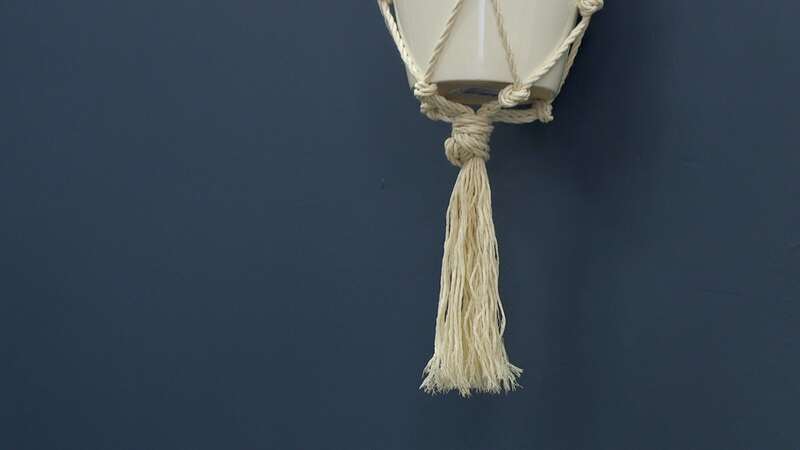 So, without any further hitches, let me show you how to make your very own macramé plant hanger. To get started cut the cord into 4 lengths, each measuring 250cm. Masking tape the ends to stop the string from fraying when making your planter. Now, pull all 4 lengths halfway through the metal ring. It’s easier if you hang your metal ring from a hook for the next few steps. Tie a knot to secure the cord in place. Measure 30cm down from the knot and tie them off into pairs. 10cm down from these new knots, tie together adjacent cords to form a net-like structure. Repeat this process to add more connections for greater support. Tie all the cords together at the bottom and trim so they are all equal in length. You can fray the ends for a “boho” finish. Congratulations, you’ve created your own macramé plant hanger. All you now need to do is add your favourite pot plant. Remember to care for your plant to enjoy this interesting way of adding greenery to your home. If you’re into crafting and wish to create your own, unique accessories for your bathroom, make sure you check out our bathroom ideas, where you’ll discover loads of great blog posts like this. In the latest of our series of "working with colour" articles, our stylist Nicky will show you how to use a colour wheel to create a brilliant colour scheme for your bathroom. Add some greenery to your bathroom the quick and easy way. I'll show you how to make your own terrarium with a handy step-by-step video.